QUESTION:- Proverbs 18:20 KJV A man's belly shall be satisfied with the fruit of his mouth; and with the increase of his lips shall he be filled. I don't go Ku Ufic hangu been there twice though, honestly handina kana Problem na Prophet kana bichana hayo, hameno havo vane problem naye God said "Touch not my anointed ones." However l feel some people who go there do so for the wrong reasons "miracle hunters" wakaona kuchienda kunotsvaga miracle instead of looking for an encounter with God then there is a problem. People like this are the ones who misrepresent UFIC because they are going there for the wrong reasons. Coming to the verse I quoted, the moment you speak a blessing upon your life it is done and the moment you will encounter the Prophet of God he will only speak of the things you have already prophesied upon your own life. God is ever present in our lives so you don't have be a 'miracle hunters' because we are a living miracle everyday when sleep and wake up that's a miracle, we are surrounded by miracles and yet we don't notice it, all we need is to speak a word upon our lives. By the fruits of our mouth we shall be satisfied in every aspect of our life. Ngatisape varanda vaMwari basa risina basa they have beta things to do which God is assigning them to do. ANSWER:-Thank you very much for your question Samuel. Having gone through your question I have appreciated your analysis but am not exactly in agreement with everything.You have labeled some of the UFIC members as "miracle hunters" and i personally think there are many ways that the holy spirit uses for "fishing". Soul winning is like fishing and i guess we cant debate about that as it is clear in the bible. When you take a fishing rod and put a worm on it,you do that knowing very well that the fish will come with a mindset of benefiting a meal from the rod and then leave without benefiting the fisherman,but that is not the case. To make a long story short,God is the Fisherman,Prophet Emmanuel Makandiwa is the fishing rod,The worm is the miracles,You and me are the fish. 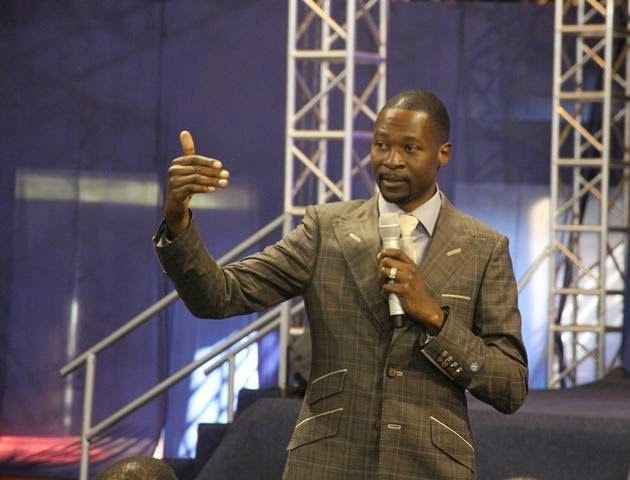 So God has given Prophet Emmanuel Makandiwa the grace to perform and work miracles to lure those that you have observed to be following the miracles performed by Prophet Makandiwa at UFIC,but i want to challenge you my brother today,go and ask anyone who you think came to UFIC for a miracle and ask them if there is anything further than the miracles.You will be shocked to know that they might not even be enjoying the service when the Man of God is performing miracles as compared to when he is teaching the WORD OF GOD.Prophet Emmanuel Makandiwa is about the WORD,he teaches more than he does every other thing you might have heard of.If you are going to be honest with yourself,was he performing miracles on the two separate days you attended his services?. The 'miracle hunters' you mentioned actually benefited more if you ask me,firstly they definitely received their miracle,secondly the are now rooted in the word of God through teachings of Prophet Makandiwa which are too rich and full of revelation to ignore nomatter one came for a miracle.Most of these 'miracle hunters' have actually forgotten that they came hunting for the miracles because the WORD has taken over,thirdly they are now benefitting from the prophetic grace that overflows in Prophet Makandiwa and are covered without doubt,(visit www.ufiministries.org or watch christtv to witness a few of the prophecies). The list of the benefits of being under Prophet Makandiwa is endless, talk of healing, talk of health which has become a norm in UFIC that sons and daughters of Prophet Makandiwa just don't get sick.Whilst iam in total agreement with the verse you have quoted but have you heard of a verse that says"surely the Lord will not do nothing unless he reveals it to his Prophets", i dont want us to go into a war of verses because the revelations we have received differ since you are not from UFIC but trust me,you might be loosing much by solely depending on the prophetic words your declare on yourself,again i don't want to go deep into how God has given us shepherds who can speak over our lives etc. Note:- This is a free platform and my answer is not final,those who know more about the truth About Prophet Emmanuel Makandiwa through Hurukuro NaProphet E. Makandiwa can even help me answer my brother and sisters who ask questions as we help them to understand Prophet E. Makandiwa and our family.